Fast and easy to apply, only takes a few minutes! Last up to 14 days! 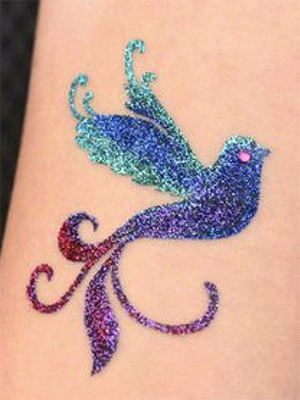 Everyone loves glitter tattoos! We have added sparkle to parties with guests aging from 2 to 102. We are prepared to entertain any size party at any location of your choice. 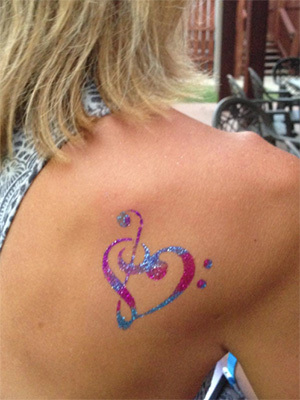 Match your party’s theme from our extensive tattoo collection or we can custom design a tattoo just for you. WE’VE DONE SO MANY DIFFERENT EVENTS! Are you next? 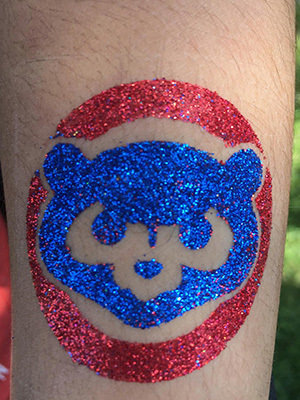 Call us at (312) 600-TATT today!